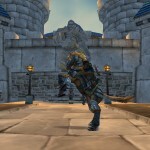 I play World of Warcraft. I’m not addicted or anything, but I find it a welcome escape from reality. My main character is a Dwarf named Drungol. 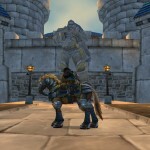 One of the rules of the game is that a Dwarf cannot ride a horse unless he or she is Exalted with the Human city of Stormwind. 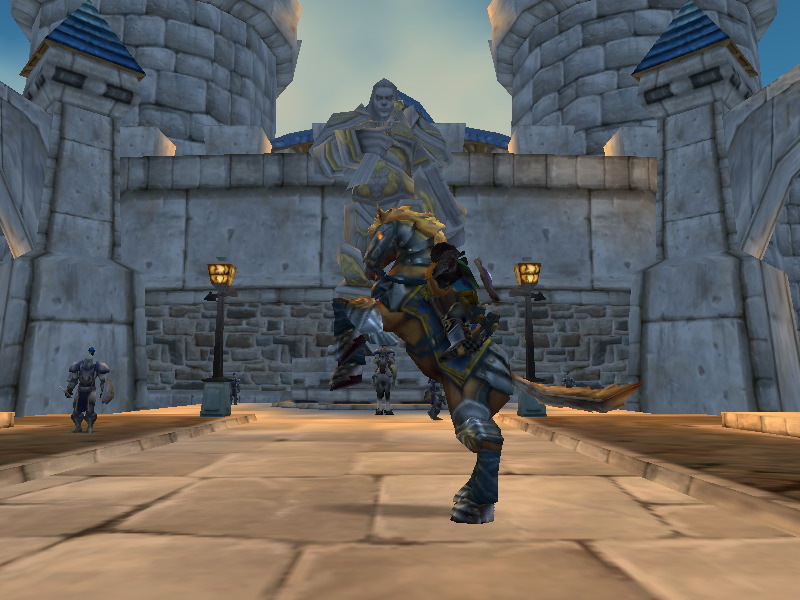 Without being exalted, Dwarves have to ride rams.I hate riding the rams. The horses sound cooler and look cooler. 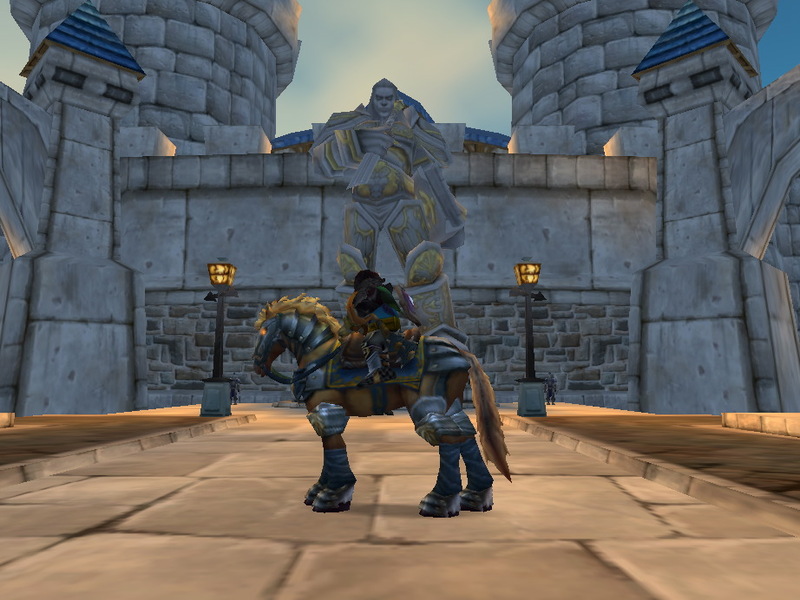 Today I got incredibly pissed and decided to gain the 3,000 Stormwind reputation I needed to become Exalted with Stormwind…It gives me great pleasure to announce that Drungol finally got his horse!